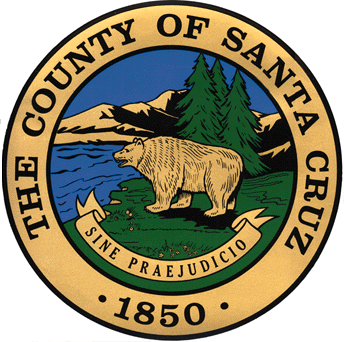 The Santa Cruz County Board of Supervisors will hold their final Aptos Village vote tomorrow, Tuesday December 8th at 4 PM. The meeting will be held in the chambers of the Board of Supervisors, 5th floor at 701 Ocean Street in downtown Santa Cruz. You can view the whole agenda of the Tuesday meeting online here. The Aptos Village discussion is at the end of the list, Item #60, and will be discussed separately and apart from the regular county business meeting. Members of the public are invited to send comments to the Board of Supervisors prior to the meeting using this online form. 1. The traffic studies used are old. Citizen counts show current vehicle counts at Trout Gulch and Soquel exceed the projected counts that included the project’s traffic. There are currently no pocket turn lanes required on Trout Gulch Road or Cathedral Drive. Why were Rio Del Mar/Soquel Drive and Freedom Blvd/Soquel Drive intersections not included in any of the Project’s traffic studies? 2. Will the County Public Works test the level of service at the Trout Gulch Road/Soquel Drive intersection after the traffic lights are installed next spring to ensure the intersection operates at the required Level C or better? Will the development be allowed to proceed if the intersection operates at a service level LOWER than Level C? 3. How will Village Glen residents and Nisene Marks State Park users exit Aptos Creek Road to travel south when one of the traffic mitigations is to prohibit left turns from that road onto Soquel Drive until the new traffic light there is installed during Phase II of the construction (possibly 2-3 years in the future)? 4. Who will maintain the new roadways (Aptos Village Way and Parade Street) and how will that money be collected? What are the boundaries of this assessment area? 5. Is there explicit language in the Final Map that guarantees free and unlimited time public parking throughout the Aptos Village Project to accommodate the Nisene Marks Park users, public transit users, and future rail passenger service, as has been promised by Barry Swenson Builder? 6. How will the surface storm drainage be handled on site? Recent changes to the drainage plan to satisfy requirements have increased the amount of on-site storm water retention via dry wells and rain gardens: have soil and geotechnical studies been conducted to ensure the increased liquefaction risk (which, conducted in 2008, showed moderate to high before the addition of dry wells). Has there been an assessment of how this possible increased risk could affect the Bayview Hotel? 7. Has California Fish & Wildlife signed off on the overflow surface drainage plan that will dump parking lot pollutants into Aptos Creek and Valencia Creek? 8. How will the borings for the 17′ high retaining walls on the Granite Way area be constructed? Will there be remediation for damage to homes and the Bayview Hotel due to the vibration of the equipment? How will this risk be monitored and evaluated and by whom? 9. How does the park parcel fulfill the condition of approval to provide a parcel that will be used for active recreation? The park parcel is a vertical hillside on Aptos Creek Road; County Parks officials have stated they have no idea how this land can be put to use for active recreation. 10. Has the Planning Dept. and County Environmental Health received adequate documentation and best practices plans from Soquel Creek Water District to document the effect of the new Granite Way well that will be constructed at the intersection of Cathedral Dr. and Trout Gulch Road on local private wells? Has the County received information from Soquel Creek Water District to show how will this new 16″ diameter well affect the stream flow levels of Valencia Creek and Aptos Creek during predicted future drought years? 11. Demand that all trees on site be saved, especially the two historic redwood trees next to the Bayview Hotel. Currently, Barry Swenson Builder plans to remove all trees in the construction area. 12. What is the required landscape plan between the Bayview Hotel and Building 14 (a two-story building being allowed on the property line with ZERO setback)? This is a condition of approval. 13. Demand that the antique barn not be disturbed no earlier than September 15 and no later than October 15, to preserve the bats that have been noted by biologists in the Negative Declaration of Environmental Impacts and specified as a mitigation. 14. When will service trucks for the commercial portions of the development be allowed to make deliveries? Demand that all deliveries occur after 9am to avoid adding congestion to the morning gridlock traffic. Granite Way and from 15′ to 2′ along Cathedral Drive. Building 3 (a three-story structure) includes set back reduction from Granite Way from 20′ to 5′. Increased Floor Area Ratio (ie, bigger buildings and smaller landscaped area) for Building 12 (the condos on Granite Way and Cathedral ) and for Building 11 (the three-story 2,500sf-3,000sf town houses on Granite Way and Village Dr.). Reduced curb return from the County’s standard of a 20′ radius to a 10′ radius at the intersections Granite Way and Cathedral Drive and also the intersections of Trout Gulch Road/Aptos Village Way and Aptos Creek Road/Aptos Village Way. This will exclude large truck (fire engine) entry if there is traffic or parked vehicles at the intersection. Height exemptions for numerous walls and fences, including a 17′ high retaining wall in the Granite Way area. 16. Demand that the developer require all construction traffic to begin no earlier than 9am to minimize impact on congested morning traffic. 17. DEMAND THAT THE DEVELOPER DISPLAY A 3-D TO-SCALE MODEL OF THE DEVELOPMENT AT THE APTOS LIBRARY FOR ONE MONTH BEFORE THE BOARD APPROVES ANY FINAL MAP OR EXCEPTIONS. Despite the questions that remain, it is expected that the board of supervisors will give their final approval to the updated Aptos Village plan at this meeting and the project will move forward early in the coming year.